For many women, hair is a crucial element of their personal identity, and the thought of damage - or indeed hair loss - is highly distressing. Losing your hair is sadly a fairly common symptom of menopause, but fortunately, there are measures you can take to prevent the condition or lessen its severity. Below, find some of the most helpful tips to promote healthy hair, and consequently lessen the chances of losing it. It is important to get your hair trimmed regularly to avoid the presence of split ends. These can appear for a number of reasons, mainly related to the overall treatment of your hair and the conditions to which it is exposed. 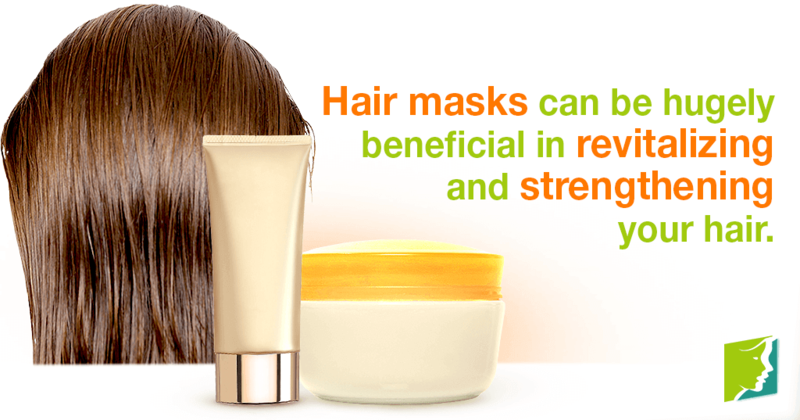 Many hair stylists and beauticians recommend the regular application of a hair mask. There is a wide range of these available, and they can be hugely beneficial in revitalizing and strengthening your hair. In addition to the use of a hair mask, it is important for you to choose good shampoo and conditioner that is suited to your specific hair type. These will work to maintain shiny, healthy hair. It is important that you don't wash your hair too often. Once every other day is suggested, any more than this is likely to do more harm than good because it can rid your hair and scalp of their natural oils, which are necessary for their health. Another common mistake is pulling your hair into a tight style. This can cause strain and often breakages of your hair, damaging its overall strength. You should avoid using heated tools as much as possible. Curling irons and hair straighteners can injure the hair by drying it out and absorbing moisture from it, which can damage hair and make it weaker. Instead of using a hair dryer or roughly towel drying your hair, you should pat it or let it dry naturally. Forcefully handling it or using heated equipment will cause breakages and dryness. Although difficult to manage, if possible, you should avoid harsh weather. Extreme hot and cold conditions can have negative effects on your hair - during extreme summers and winters, you should take extra care by covering your hair with a hat or scarf, and remember to use a hair mask and good conditioner to keep it healthy. Consuming a healthy, balanced diet will also go a long way towards maintaining good, strong hair. Hair requires protein, fats, and vitamins and minerals in order to thrive, so it is important to ensure you receive an adequate amount of all of these nutrients daily. It is also recommended that you use moderate to no chemical products in your hair aside from shampoo and conditioner. This includes from perms, hairspray, dyes, and even indirect substances such as chlorine in swimming pools. Each of these can dry your hair and cause it to become brittle. Understanding the causes of damaged hair can help you to properly protect it, decreasing the probability of hair loss later on in life. Adhering to the above tips can be started at any time, and will only ever benefit your hair, even after it has become damaged.